Preceded by The Unknown Connection between Pollinators and Meat Production. Q&A with Tim Brod of Highland Honeybees. With panel discussion among Paul Willis, Niman Ranch founder; Jill Skokan, Black Cat Farm co-owner and operator; Katie Belle Miller, Heritage Belle Farms owner and operator; and Alan Lewis of Natural Grocers. 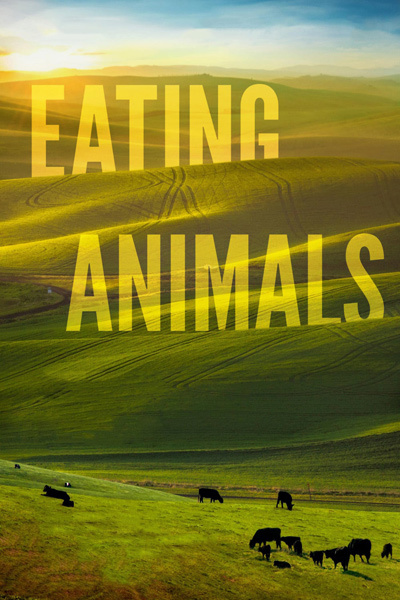 A friend of mine who’s a devoted carnivore told me that he had no interest in seeing the food documentary “Eating Animals,” because “when I hear that title, it makes my mouth water.” He is, in other words, not the target viewer for a lesson in vegetarian fortitude. Actually, though, he’s got the movie all wrong. If the phrase “eating animals” makes your mouth water, then you are, in fact, the ideal audience for this documentary investigation into where our meat comes from. The movie, loosely adapted from Jonathan Safran Foer’s 2009 memoir and narrated by Natalie Portman (who is one of its producers), isn’t a sanctimonious veggie harangue. Directed by Christopher Quinn, it is, at certain moments, almost a love letter to the time-honored splendor of the carnivorous impulse. “Eating Animals” understands the boutique economics of what it’s showing us. It knows that heritage farms like these represent just one percent of the farmers in America, an elite group who have subverted the system and are keeping an old idea of farming alive. The other 99 percent have been sucked into the exhausting competitive juggernaut of factory farming, in which farms raise animals on a scale of mass production, which requires conditions that are called, euphemistically, “confinement agriculture” but might more accurately be described as an animal holocaust. Americans are addicted to processed food, and even those of us who try to steer clear of that addiction tend to be addicted to eating meat. Could all that change? Maybe, maybe not. But meat that comes from animals who are raised humanely is an ideal, however precarious, that needs to remain a part of things. And a movie like “Eating Animals,” by making you think twice about what you’re taking a bite of, has stood its ground and done its job.